Is There a Logic to Childhood Temper Tantrums? Is there a hidden logic to the chaos of a tantrum? When your child (or someone else’s) is in the throes of a massive temper tantrum, it may seem like there’s no method to the madness. We grownups want to help (or at least make it stop), but attempts at reasoning, assuagement, bribery or all of the above almost always fall on deaf, fever-red ears—leaving the adults in the room almost as upset as the kid. While there’s no quick cure for the tantrum, the newly published work of a team of pediatric scientists provides a better understanding of its structure—which, believe it or not, does exist. As reported on NPR’s Morning Edition today, researchers Michael Potegal and James A. Green have co-authored a paper on the issue for the journal Emotion, in which they argue that tantrums have two distinct phases: The first, anger, is characterized by yelling and screaming, climaxing with physical aggression, such as the familiar throwing of blunt objects and/or collapsing onto the floor. The second phase is sadness, including tears, whimpering and the desire for comfort. 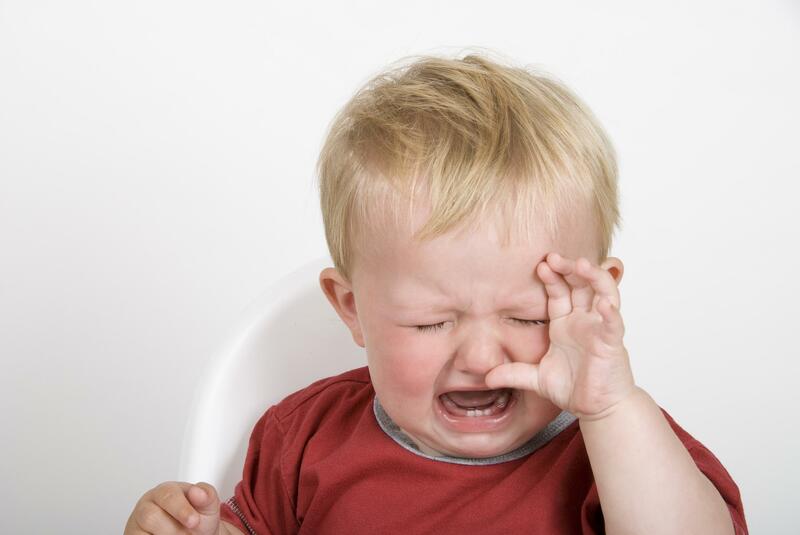 Though this is not the first time scientists have tried to understand tantrums, it does seem to be the first project based on direct evidence as opposed to parental report after the fact. To gather their data, Potegal and Green dressed toddlers in a special onesie that contained a high-quality microphone, enabling them to record over 100 tantrums in the wild. They then analyzed the acoustic patterns of the sounds their anguished subjects made, leading to the discovery of the patterns described above. The trick in getting a tantrum to end as soon as possible, Potegal said, was to get the child past the peaks of anger. Once the child was past being angry, what was left was sadness, and sad children reach out for comfort. The quickest way past the anger, the scientists said, was to do nothing. Not easy advice to follow, say, on an eight-hour flight. But then again, maybe if you calmly explain that your placid indifference to the explosive ball of rage on the floor is based in science, other passengers will be more understanding. Or maybe not. In any case, at least you’ll have the relative peace afforded by superior knowledge, even when quiet is lacking.